BE A WHEAT KINGS VIP!!! Here is Wheat Kings VIP Package #2 up for grabs. 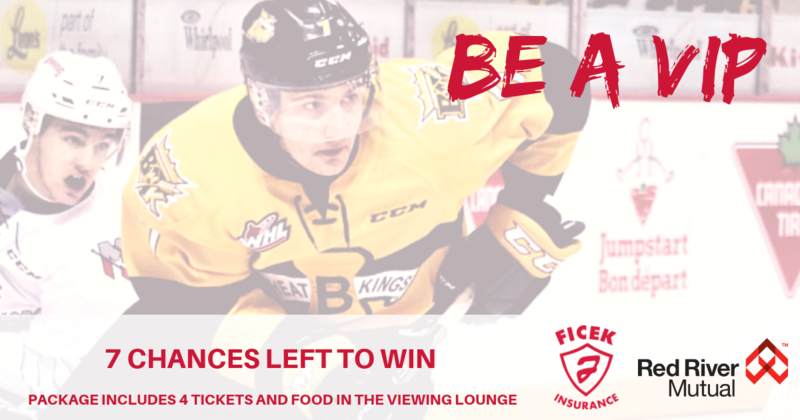 WIN 4 tickets and food package in the viewing lounge for Wheat Kings vs Prince Albert Raiders on February 16th, 2019.